Collaboration – The spending money for my trip was gifted by Hotels.com, but all views are my own. 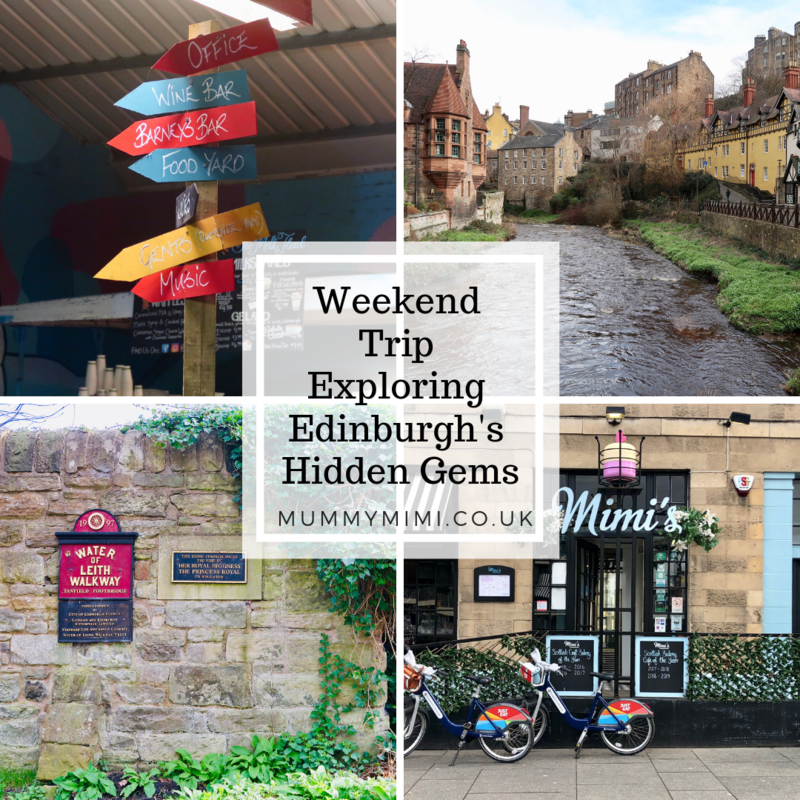 Last month I headed down to Edinburgh for a weekend to catch up with a friend who’s recently moved there so I thought I’d share some of the hidden gems we came across… plus an old favourite! 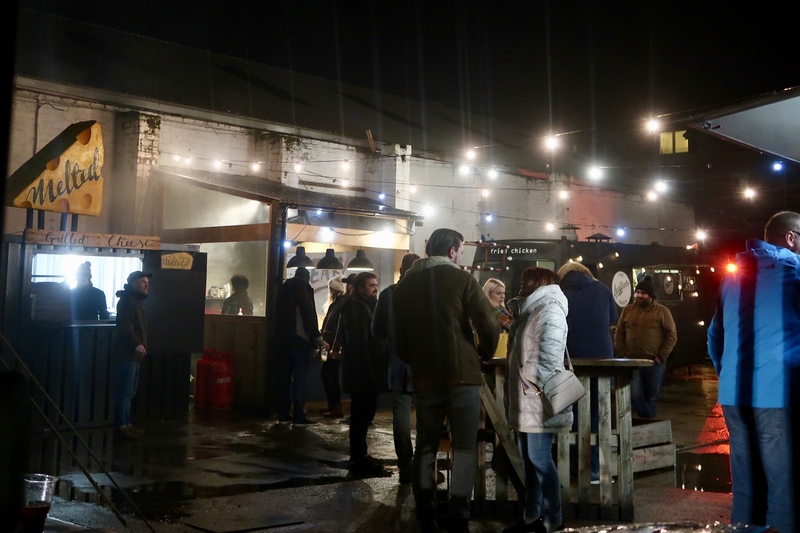 The Pitt Market is a popular street food market at 125-137 Pitt Street, in the Leith area of Edinburgh. Walking down the street you wouldn’t think this hidden gem was there as it is blends in with the surrounding warehouses, in fact the main seating area is inside an old warehouse. The day we were there it was perfect for sheltering from the rain on a rather wet Saturday afternoon. The entry price is £2 for adults, with free entry for children who are allowed in until 8pm. Inside there were two bars for getting a drink. With a dedicated wine bar and another bar selling providing beers, cider and spirits. Behind one of the pull down screens there was also a little area for live music to be played, which in between the rugby matches created a lovely atmosphere. 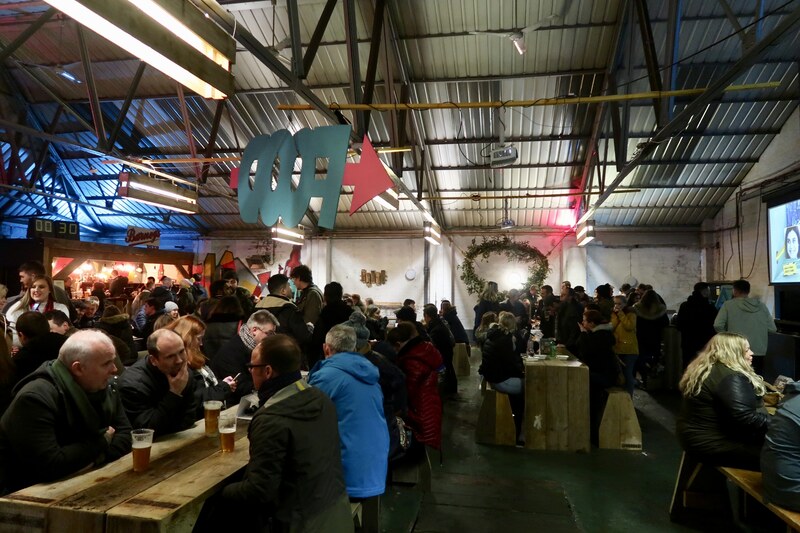 The seating area is inside an old warehouse with long wooden tables and benches with three large screens, perfect for watching the rugby. 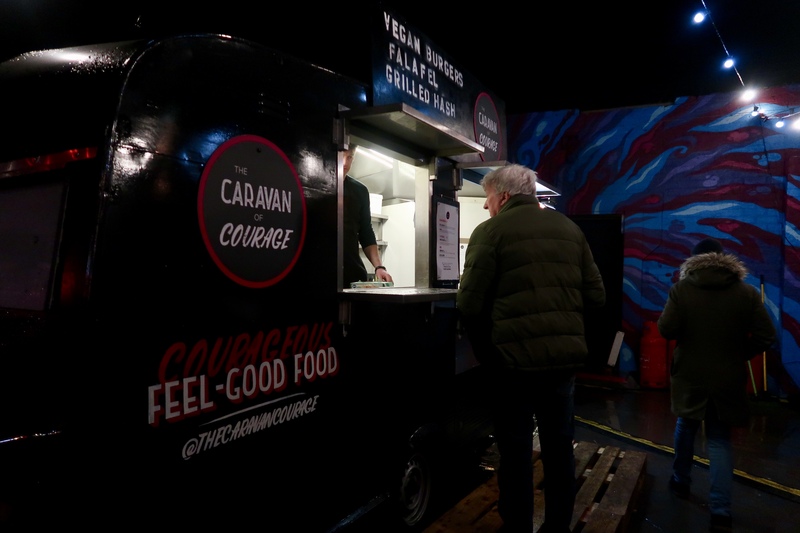 The outside area is where you can find the street food stalls with plenty stalls to choose from I decided to check out The Caravan of Courage and try their vegan burger. “The Caravan” – A butterbean & chickpea burger grilled in coriander & garlic oil with guacamole, kimchi hot sauce, carrot, fresh tomato, pink onion & lettuce on a grilled bun. 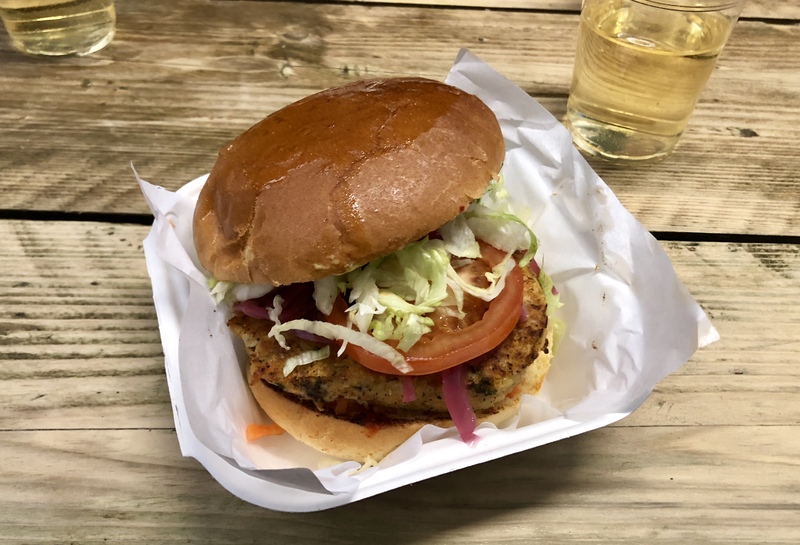 The burger was delicious and the hot sauce gave it a definite kick – well it did for me as someone who is a bit of a whimp when it comes to hot and/or spicy foods! 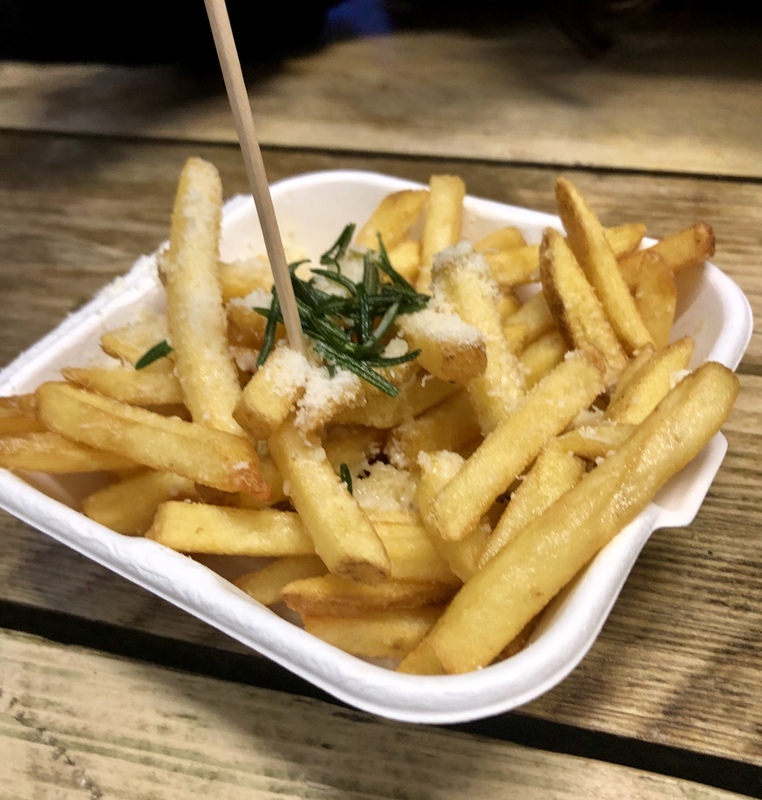 We also got some parmesan fries to share from The Buffalo Truck. 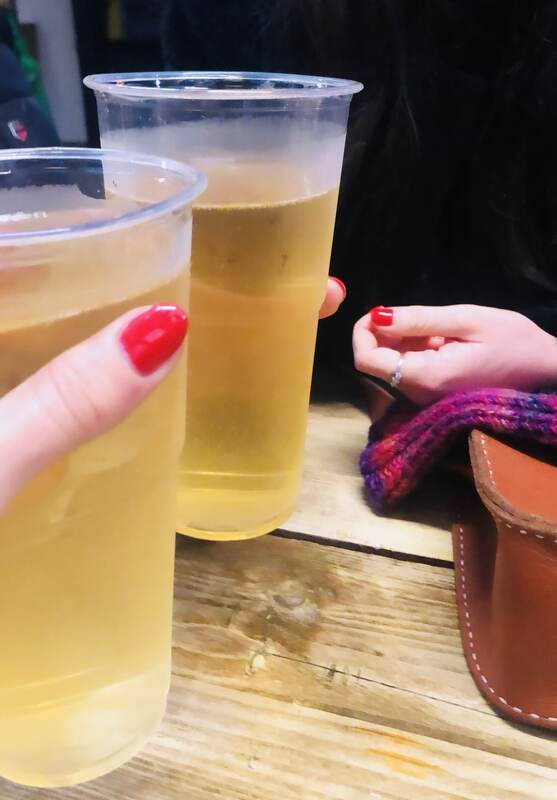 We actually ended up spending most of the day here, from around 2pm to after 7pm, as the atmosphere when the England v Scotland rugby match was on the screens was amazing – especially as the score line got closer and closer and the excitement picked up! 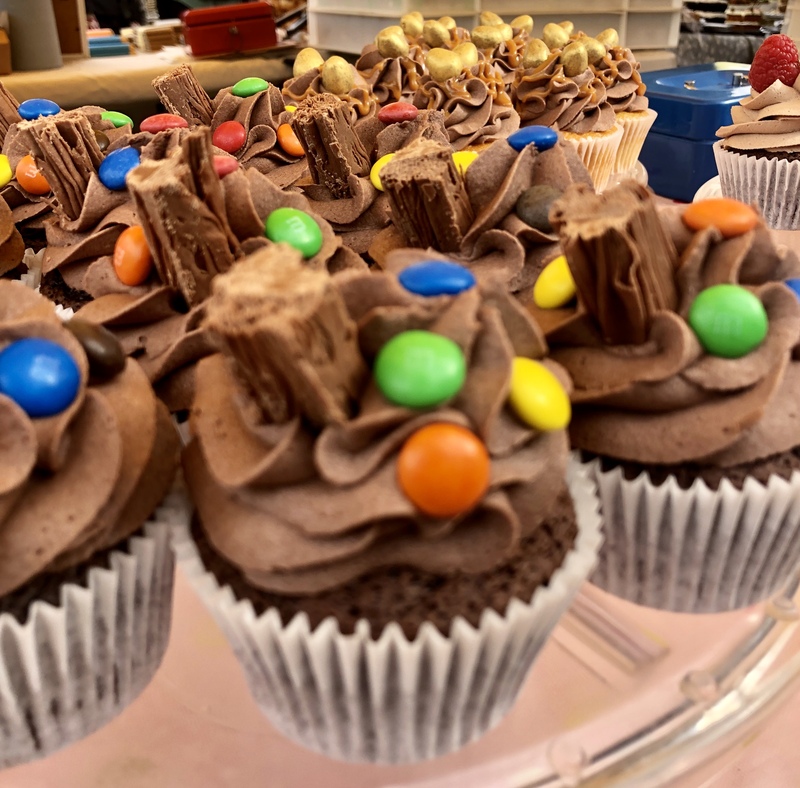 On the Sunday morning we headed to Stockbridge Market, which is full of a wide range of stalls from paella to cupcakes to cheese stalls there was lots to choose from. 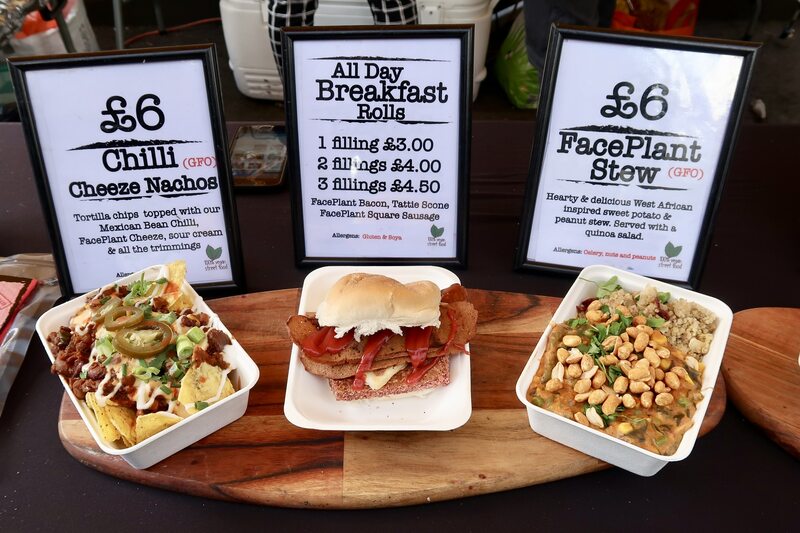 After a look around the market I decided to try out the Chilli Cheeze Nachos from the FacePlant Foods as they looked too good to resist! 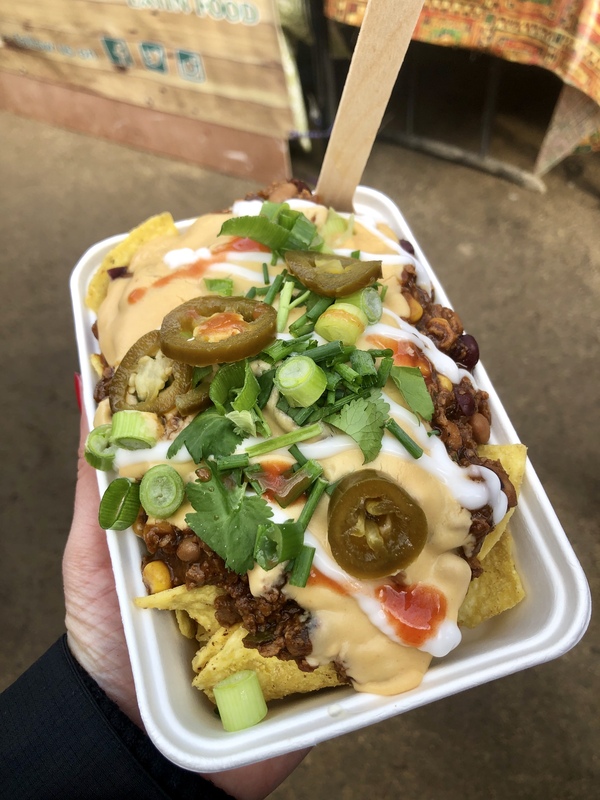 Chilli Cheeze Nachos – Tortilla chips topped with their Mexican bean chilli, FacePlant Cheeze, sour cream and all the trimmings. 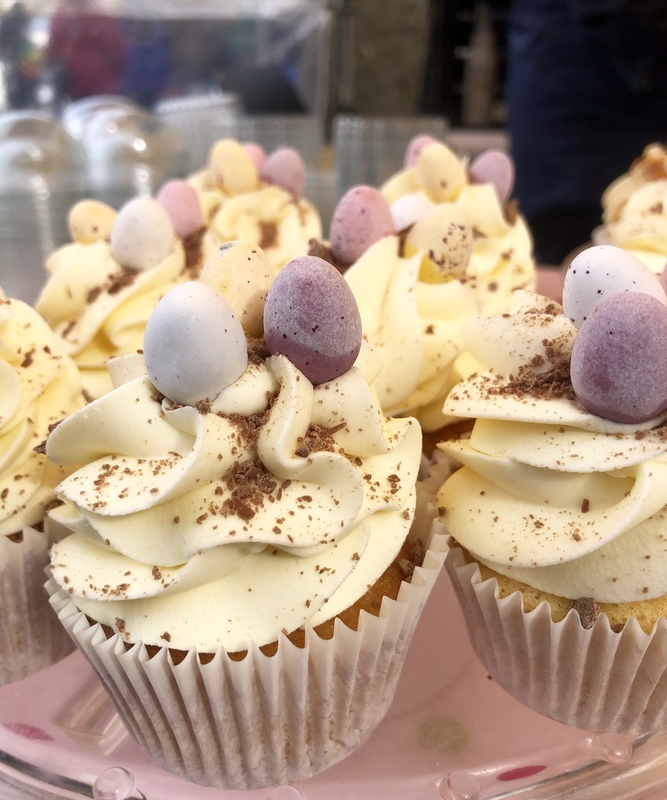 The cupcakes from the Vanilla Cream stall all looked amazing, in the end I opted for the Caramel Mini Egg and Vanilla Sundae Mini Egg cupcakes and they were oh so good and satisfied my sweet tooth! Cupcakes are always a winner in my eyes! 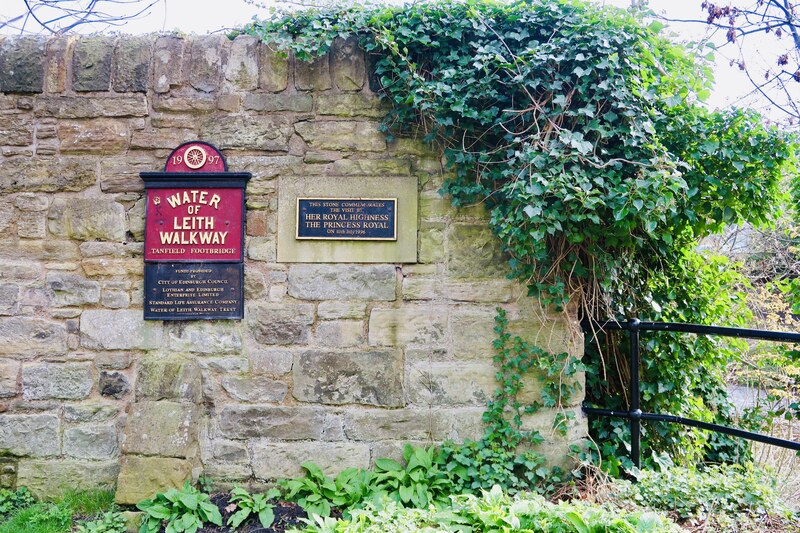 After our visit to the market we headed off on a walk along the Water of Leith Walkway through Dean Village and along to where the Scottish National Gallery of Modern Art is located before heading back the way we came. 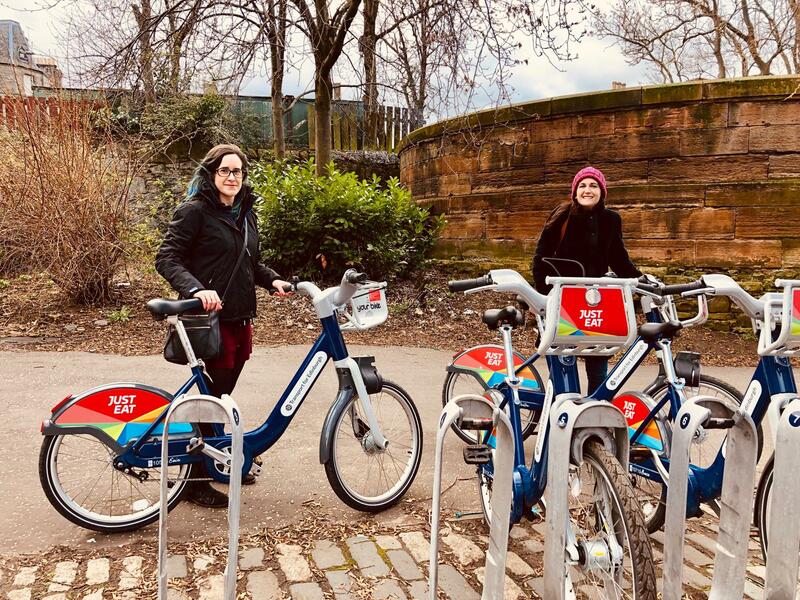 We then continued our trip along the water side on the Just Eat Cycles you can use throughout the city. 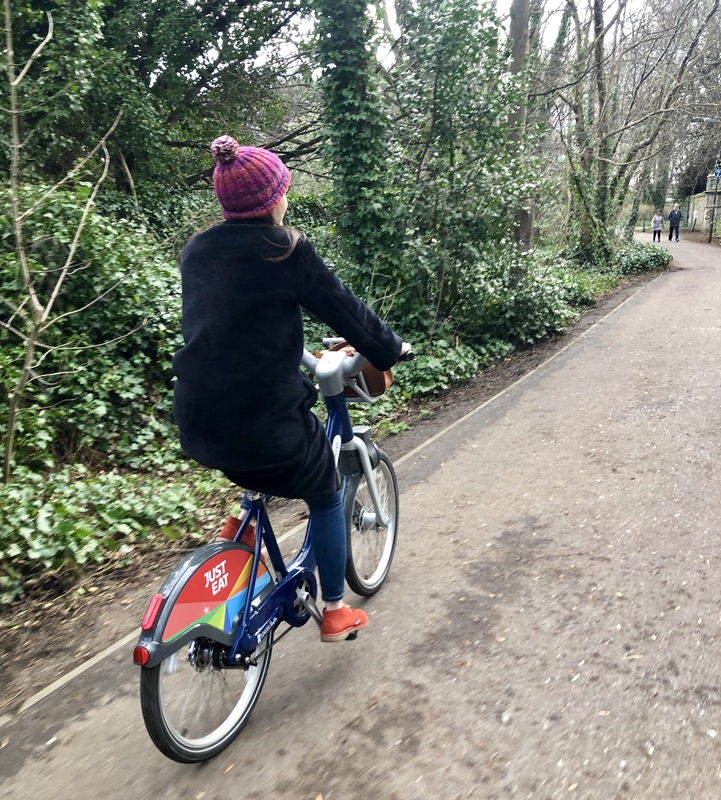 Until my friend mentioned these bike I had no idea they existed in Edinburgh and were so easy to use. As I wanted to head to Mimi’s Bakehouse which was around a half an hour walk from where we were my friend suggested that we cycled. All I needed to do was download the app and put in some payment details then we were ready to select our hire length (we were only £1.50 for the hour!) and then the app told us which bike in the rack was ours and it was then unlocked ready for us to use. 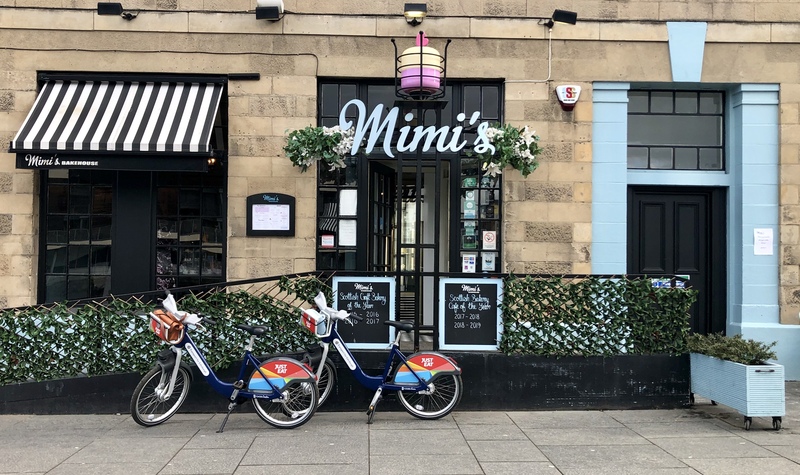 One of my favourite places in Edinburgh for food and cakes is Mimi’s Bakehouse. So although we didn’t have time to sit in and have cake I made sure I picked up a couple for taking back up the road! I’ve been to Mimi’s a number of time for lunch, brunch, afternoon tea and just for coffee & cake and I have never left disappointed. Mimi’s is always busy so I would highly recommend booking in advance so you’re not disappointed. They have 3 stores across the city with the Bakehouse in Leith being the original. If your visiting the castle why not pop into their Mimi’s Little Bakehouse on the Royal Mile – the hot chocolate I’ve had from there before was amazing and perfect for warming up on a cold day! 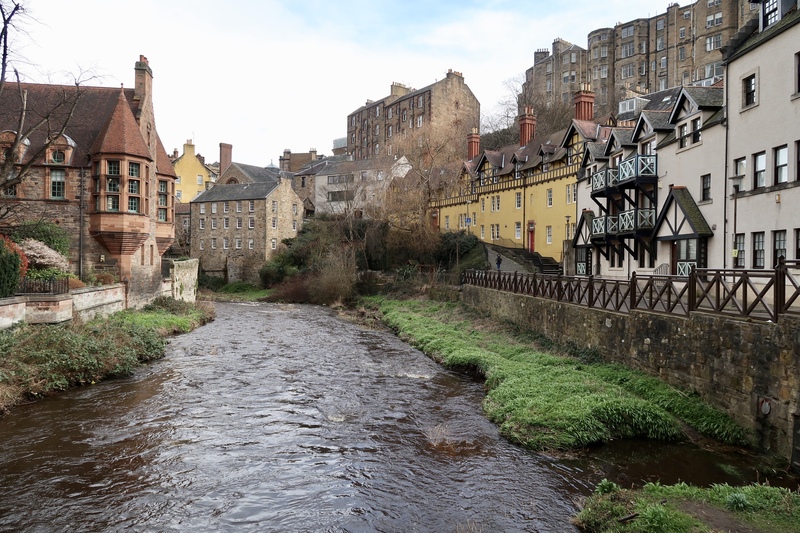 Edinburgh is one of my favourite places to visit and I cannot wait to head back down to explore more of the city as there is always something new to discover!